Registered Wholesalers, please sign in here. 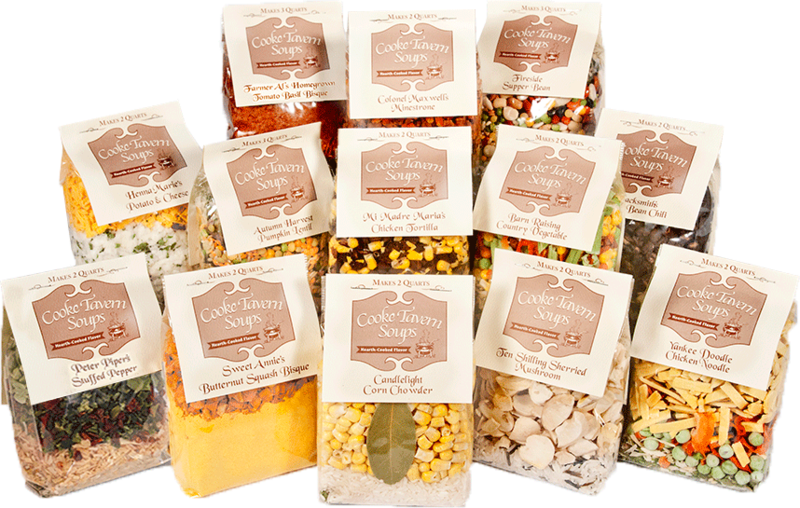 Are you interested in selling Cooke Tavern soup mixes in your retail store? Cooke Tavern Soups offers easy options for retailers with our wholesale account program. Dedicated support, and low minimums are only a few perks! Please contact us with any questions about signing up as a wholesaler. To get a jumpstart on the process, you can complete the form via the link below or email info@cooketavernsoups.com. Browse our “Shop Soups” page to view the product line (please note that Pioneer Split Pea and Colonial Broccoli Cheddar Chowder are not available for wholesale purchase). SOUPS ARE SOLD IN 6-PACKS. FIRST ORDERS MUST BE A MINIMUM OF 48 SOUPS. REORDERS MUST BE A MINIMUM OF 24 SOUPS. By request, we can check our database to see if any other stores in your area are already carrying Cooke Tavern Soups.